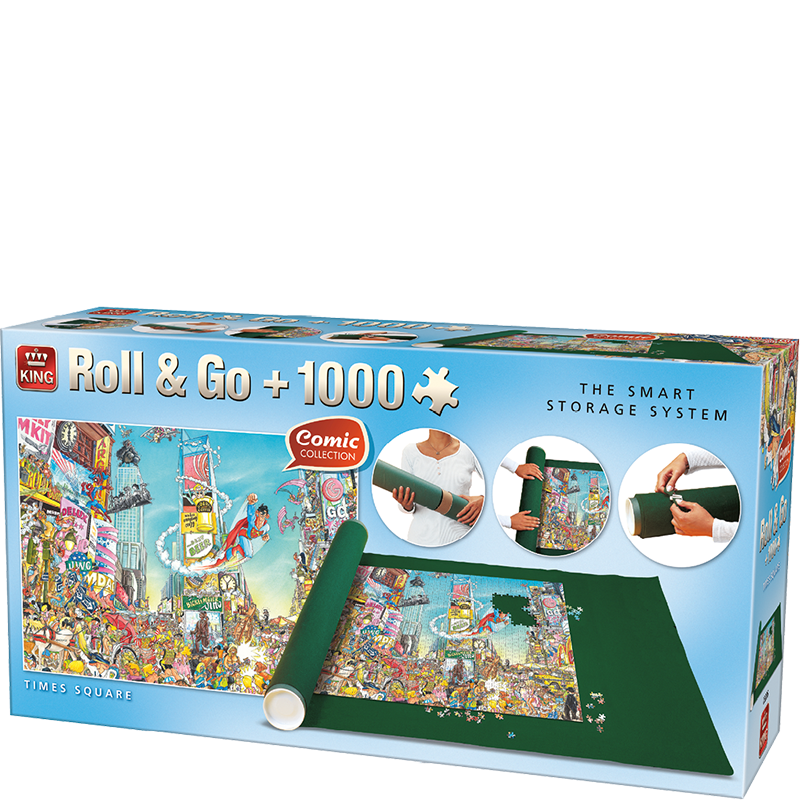 A Roll & Go with a 1000 pieces puzzle of the comic puzzle Times Square. This comic is a funny design of the famous Times Square. You will find several funny situations that will make you smile. In this box you will also find a roll to store your puzzle so you can take a break. This way you can decide when you make the puzzle.